Alimony or spousal maintenance is a contentious issue for many couples separating or divorcing, regardless of the number of years they were together. Alimony is designed to give a less economically advantaged partner in a former marital relationship some financial support. Generally, it is to enable that person to enjoy the same living standard of living he or she enjoyed during the marriage, or at least to some degree, or to provide funds to that individual for job training or educational opportunities so as to become self-sufficient. Many spouses sacrifice a career or educational opportunities to care for children or the household while the other pursues an education or a career. Alimony is a way of restoring some of the sacrifice to that spouse. 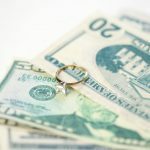 The issue of alimony becomes a matter of dispute when the payor spouse resents having to pay a certain amount to the other party who may have unilaterally decided to end the marriage or who was perceived as less than supportive during the marital relationship. In many cases where alimony is an issue, you will need the services of an experienced alimony lawyer to properly advise you. The issue of alimony in Massachusetts is governed by the Alimony Reform Act of 2011, which was promulgated to give some certainty and specificity to the law that was otherwise subject to the whims of whichever court was ruling on the matter. Generally, a party requesting alimony must have a financial need for it and the paying party must be able to pay it. If the payor is also paying child support and the combined income of the parties does not exceed $250,000, then alimony will generally not be ordered. Unlike child support, alimony is considered income and the recipient party must pay income taxes on it. The payor is able to deduct the payments from his or her taxes. For example, if the marriage lasted 8 years, alimony may be ordered over 57 months, or just short of 5 years. Alimony ends when the recipient spouse remarries or cohabitates with another party. Cohabitation is sharing a common household for at least 3-months. If a spouse is cohabitating, then the court may only order a reduction in the amount of alimony or it may suspend it. It may be reinstated if the cohabitation ends. However, the alimony payments may not extend beyond the initial termination date. Alimony also ends when the payor reaches full retirement age for social security. This is regardless if the payor continues to work beyond this age. If alimony is to terminate upon a certain condition, be sure to have your alimony lawyer make a formal request to the court before you stop paying. 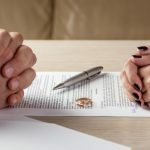 There may also be instances where the parties agree, as in a prenuptial agreement, regarding the amount of alimony to be paid and for how long. Rehabilitative–this type of alimony is for spouses who need financial assistance with job training or education to enable them to become financially stable. If ordered, then the payments may not extend beyond 5 years. Reimbursement–If a spouse supported the other while that spouse was able to obtain a degree or job training, then the supporting spouse may be entitled to compensation for whatever support he or she provided the other during the marriage. It may be paid in a lump sum or over a period of time. 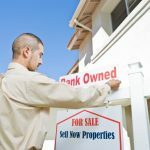 Transitional–These payments allow the recipient spouse to adjust to a new location or a new or different lifestyle. General–Alimony is awarded based on the formula indicated above or on the length of the marriage. Each party’s assets and liabilities–are there sources of unearned income? The amount of alimony should not be more than 30 to 35% of the difference between the parties’ gross income. 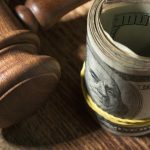 This may differ depending on whether a party is to receive other than general alimony such as for reimbursement or where there are unusual circumstances. A party may ask the court to modify the amount of alimony but the requesting party must be able to demonstrate a material change of circumstances from the time the original order was issued. For example, a party may have suffered a debilitating injury or illness and is no longer able to work, or the payor spouse has received a significant increase in income. Family law comprises of many different areas, including tax law, issues of custody, property distribution, asset protection, parenting rights, and alimony. Consult alimony lawyer Jason C. Matalas, a Peabody family lawyer, who can advise you on alimony matters as well as any other family law issue. Call for a free consultation at (978) 304-2888.